Canoe and Kayak! The shop is open and tours are running daily. We have added new tours and are providing more options for individuals interested in kayak fishing. Check out our calendar, stop by and say hello, or give us a call for more information. The Stellar S14S is a surf ski recreational kayak with better speed and responsiveness than the typical recreational boat. This trendy new boat was mentioned recently in Adventure Kayak Magazine. The S14S is lightweight and responsive, with two hatches to store all your gear while on the water. For those seeking a new lightweight paddle for your fishing kayak check out the Pro Edge Slider by Accent Paddles. Made of continuous weave carbon fiber over a a high foam density core, and easily adjustable, it's a great upgrade - with a measuring tape along the shaft for you to measure your catch! 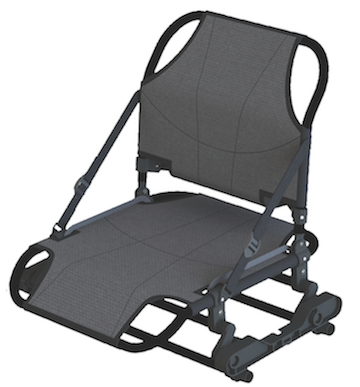 Also for those interested in kayak fishing, Savannah Canoe and Kayak carries Phase 3 AirPro Max seating. With 3 seating positions (high, low, and reclining), comfort and visibility will help enhance your fishing experience for your day out on the water. We look forward to seeing you this year. Stop on by to check out gear or just to chat!